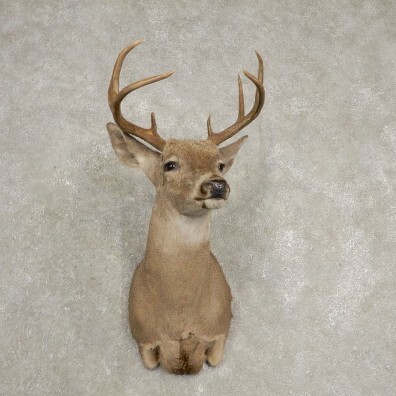 This is a fantastic Coues Deer shoulder taxidermy mount. It is posed with the head in an upright position, looking to the animal's left side out into the room. 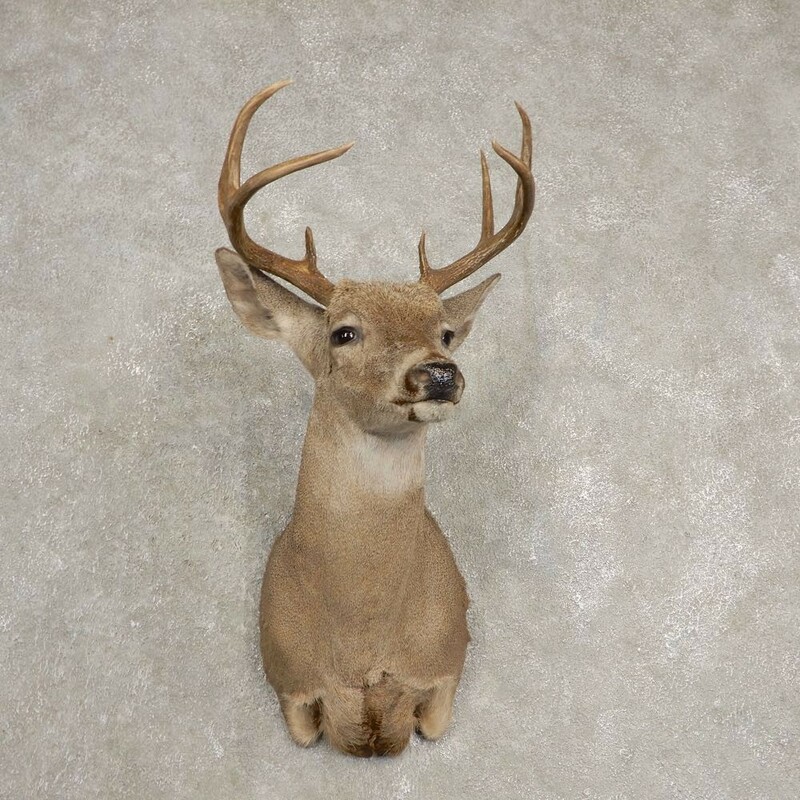 It has terrific hair and a nice set of antlers for its species, that achieves an SCI Silver Medal with a score of 92 6/8". 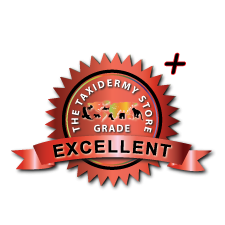 The taxidermy craftsmanship itself is outstanding as well, earning this item our Excellent Plus™ overall quality rating. All applicable measurements and dimensions are provided to help ensure this item will fit within your intended space, as well as meet expectations regarding the item's featured attribute sizes, scores, etc. - This Coues Deer exceeds the Safari Club International Silver Medal trophy book score requirement. The Coues Whitetail Deer (Odocoileus virginianus couesi) is often found in the southwestern U.S. (Arizona). The male Coues deer is often referred to as a 'Buck", producing antlers that are fully grown and shed once each year. Coues whitetail deer are smaller than the common whitetail deer in both body size and in antler size, by 35-40%. Their habitat is quite diverse, from forested areas to hotter, arid conditions. Coues deer have a specialized stomach that allows them to eat plants, shoots, and grasses as well as various mushrooms that are otherwise toxic to humans. Gold (NT) - 126 1/4"
Silver (NT) - 115 1/4"
Bronze (NT) - 98" Gold - 97 1/4"
Gold (NT) - 113 7/8"
All-Time (NT) - 120" Minimum - 70"